No. This is a design choice. 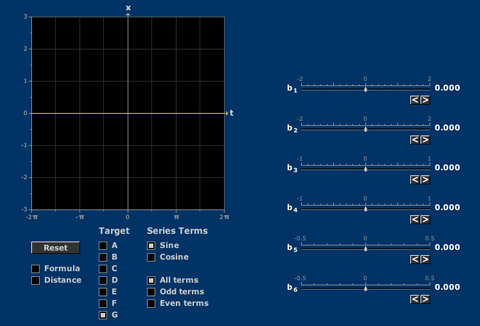 Sliders offer a dynamic way to set variables in many of the Mathlets. If there are menu items that you think should be added, let's hear about them! Hi, a way to put in numbers in addition to the sliders would make inputs much more precise. Depressing the tab key creates a cyan box that can be moved around the screen by further tabs. When it's on a slider, the left and right arrow keys move the slider. Try it!